Problems with Dolby Digital 5.1 surround sound on Freeview HD – the facts | What Hi-Fi? But while you may be getting HD pictures, you may not be getting Dolby Digital 5.1 surround sound. Why? 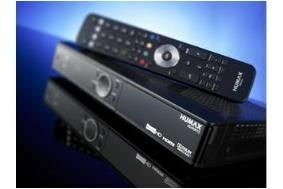 Because it transpires that not all the Freeview HD TVs and set-top boxes currently on sale are capable of transcoding the multichannel audio signal being broadcast by the BBC on its HD programmes. It's all to do with the fact that the Beeb has to provide an audio description service on BBC HD, and to do this it has to use the AAC audio codec present in Freeview HD receivers, rather than Dolby Digital. Hence the main audio is coded as AAC-LC and the audio description as HE-AAC, because the main audio soundtrack and the audio description must use the same encoding family, as explained in this BBC blog by Phil Layton, project manager Digital Service Development, BBC R&D. So why does this matter? Well, put simply, not all current Freeview HD TVs and set-top boxes can transcode from the AAC format to Dolby Digital so that your current AV equipment will be able to understand it. According to the Beeb, transcoding will only become mandatory in all Freeview HD products after April 2011, which means there may well be confusion for a while to come. Thanks to professorhat for this exhaustive thread on our Forums in which he tests the Philips DTR8520 and finds it does not output 5.1 sound (among other problems). If you've recently bought a Freeview HD TV or receiver and are having trouble getting it to output Dolby Digital, please let us know in the Comments box below. We'll add more products to our own list as soon as we test them.